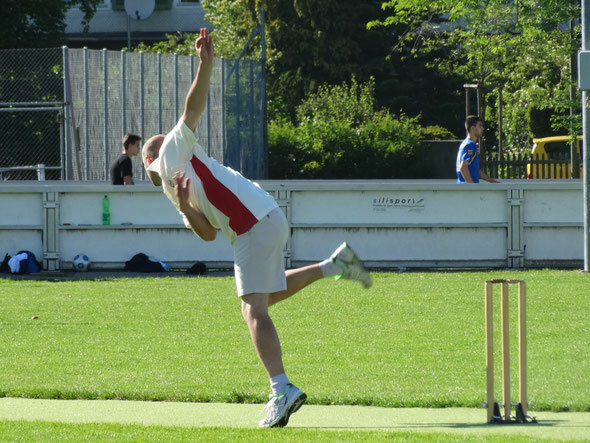 A Winterthur Cricket Club 2nd XI took on a combined U15/U17 & Dads XI from Zurich Crickets Cricket Club in a Twenty20 fixture on Saturday 24th May and won by 4 wickets. Zurich Crickets captain John Millar won the toss and chose to bat first in what had started as a chilly Saturday morning, but had quickly turned out to a dazzling sunny afternoon. 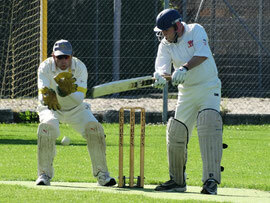 A solid start by the ZCC openers only lasted until the 4th over when Raj Singh cleaned bowled Nic Henderson. 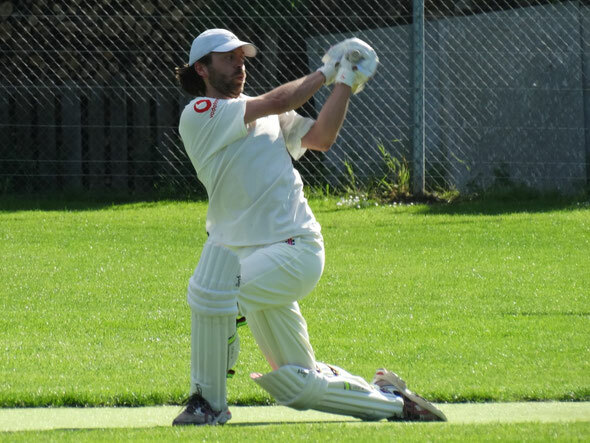 Callum Hirst, fresh from international duty, immediately began to blast the Winterthur openers, and after a flurry of boundaries, was quickly forced to retire on 29. Zurich Crickets were finding the boundary on a regular basis until an early bowling change saw Matt Allen (2-8) bowl a wicket maiden on his first, Chris Lodge catching the opener Ruan (1) at mid-off, and take a futher wicket, Shay catching Ziad (7) behind in his third over, to make some inroads into the ZCCC top order. With the exception of Rahul (6) who kept chipping away scoring good singles, Zurich Crickets didn't offer much more in the way of batting. Chris Lodge (2-7) & Tom Mampilly (3-8) ripping through the tail-end. Even, Callum Hirst (33) only managed to add one boundary on returning to the crease at the end of the innings, caught well in the deep by Urs Stuker on the last basll of the innings. However, that fellow Xtras helped the Crickets to a total of 99 all out. Despite the low total, Zurich Crickets were given some hope when Jiten Patel (0) found the wrong line, bowled to a speedy delivery by Ruan. 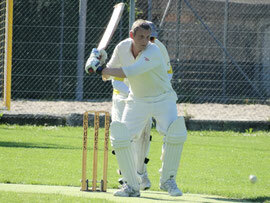 This was followed by a second wicket in consecutive balls when Tom Curtis was judged LBW. Mahmood Rahman (11) growing impatient watching his fellow top order batsman collapse at the other end, was caught well by Ziad and Winterthur looked rocky to say the least at 19-3 off just three overs. Despite Winterthur losing three middle order ducks, a mature and calculated innings by Ramakrishna Kukkila (25*) before being forced to retire, and Shay Zala (22*) steered Winterthur to victory with 3.3 overs to spare and 4 wickets in hand. Following the 2nd XI friendly versus Zurich Crickets, 1st team members and some members of ZCCC combined forces to form two teams in a 15 over practice match.